Richelle has posted a great big long funny summary of what she's been up to at the Romantic Times Convention. 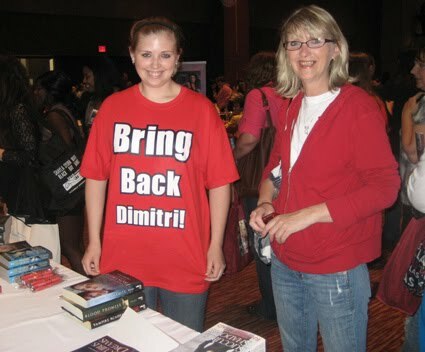 A lot of the convention is spent meeting other authors, but here is a picture from the book fair that's open to the public. 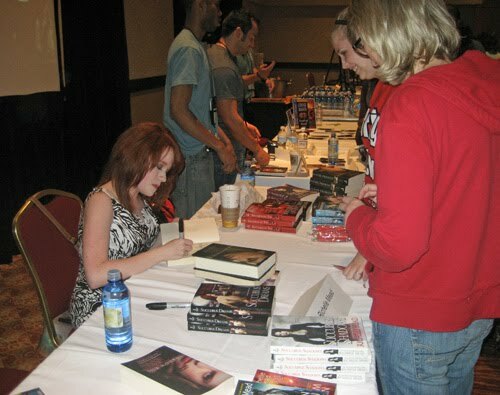 Richelle writes that they had to arrange a bigger table for her since she had more people show up for the signing than they expected. Isn't that great? 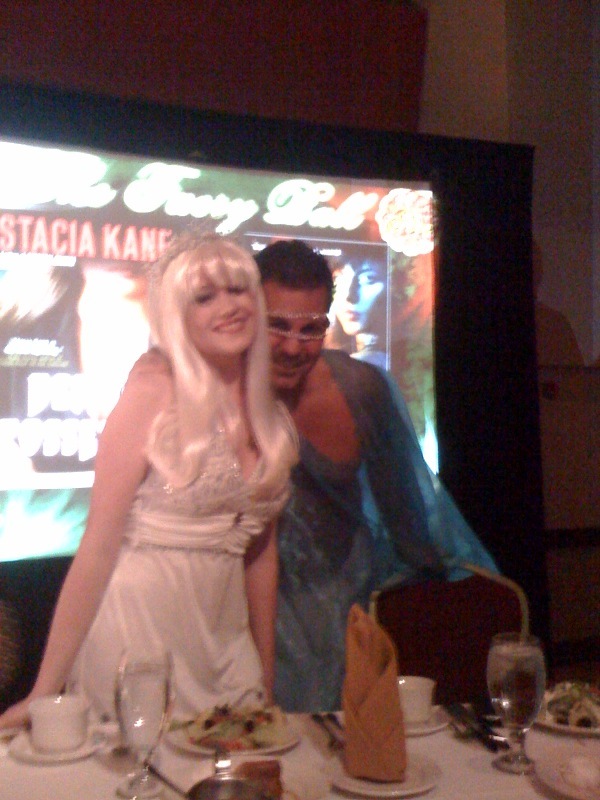 If you thought the faery ball was the only extravagant show going on during this con, you thought wrong. 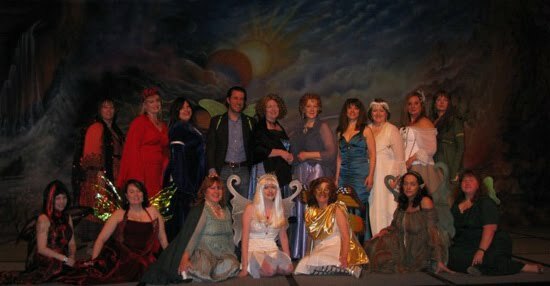 Every year, there's also a vampire ball, which is notable for its dinner theatre musical stage show, put on by author Heather Graham and family/friends. This year's show was a murder mystery that combined Alice in Wonderland, Twilight, True Blood, and Dexter. With Lady Gaga music. How awesome does that sound? I would've loved to have been able to see that! Remember Richelle's tweets about making fairy costumes? This is a picture from the beautiful Faery Court of the Faery Ball. If you want to find out which one Richelle is, or see more pictures and read about RT, visit Richelle's Blog.